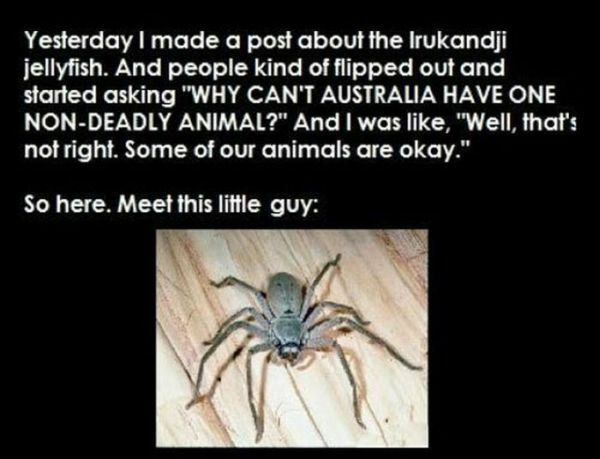 This Australian spider is more friendly than he is harmful. It may not be venomous, but the damn thing would give me a fatal heart attack! . . fuzzy and cute and friendly. . Okay, if you say so. I live in England... and it's NOT FAR ENOUGH AWAY!! !